Prior studies suggest that struggling to make sense of mathematics is a necessary component of learning mathematics with understanding. Little research exists, however, on what the struggles look like for middle school students and how they can be productive. This exploratory case study, which used episodes as units of analysis, examined 186 episodes of struggles in middle school students as they engaged in tasks focused on proportional reasoning. The study developed a classification structure for student struggles and teacher responses with descriptions of the kinds of student struggle and kinds of teacher responses that occurred. The study also identified and characterized ways in which teaching supported the struggles productively. Interaction resolutions were viewed through the lens of (a) how the cognitive demand of the task was maintained, (b) how student struggle was addressed and (c) how student thinking was supported. A Productive Struggle Framework was developed to capture the episodes of struggle episodes from initiation, to interaction and to resolution. Data included transcripts from 39 class session videotapes, teacher and student interviews and field notes. Participants were 327 6th- and 7th-grade students and their six teachers from three middle schools located in mid-size Texas cities. 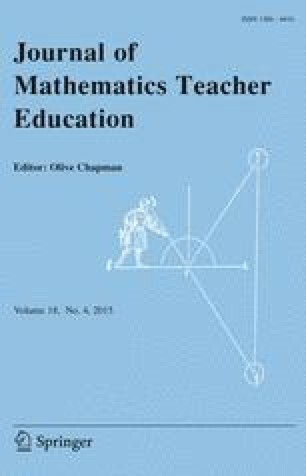 This study suggests the productive role student struggle can play in supporting “doing mathematics” and its implications on student learning with understanding. Teachers and instructional designers can use this framework as a tool to integrate student struggle into tasks and instructional practices rather than avoid or prevent struggle. Suppose we have a 48-gallon rain barrel containing 24 gallons of water and a 5-gallon water jug containing 3 gallons of water. 1.1 Which container has more water? 1.3 Use the coordinate grid below to draw a picture of the two containers and their water level. You may let each square represent 1 gallon and shade in the part representing the water. Does it matter what shape you make these containers? 1.4 How many gallons of water would need to be in the 5-gallon jug so that it has the same fullness as the 24 gallons in the 48-gallon barrel? Bag 1 has a total of 100 marbles of which 75 are red and 25 are blue. Bag 2 has a total of 60 marbles of which 40 are red and 20 are blue. Bag 3 has a total of 125 marbles of which 100 are red and 25 are blue. Texas Education Agency (TEA). (2005). Chapter 111. Texas essential knowledge and skills for mathematics subchapter B. Middle school.http://ritter.tea.state.tx.us/rules/tac/chapter111/index.html.